Wind industry jobs jumped to 85,000 in 2008, a 70% increase from the previous year, according to a report released Tuesday from the American Wind Energy Association. In contrast, the coal industry mining employs about 81,000 workers. (Those figures are from a 2007 U.S. Department of Energy report but coal employment has remained steady in recent years though it’s down by nearly 50% since 1986.) Wind industry employment includes 13,000 manufacturing jobs concentrated in regions of the country hard hit by the deindustrialization of the past two decades. T. Boone Pickens and Texas may be the kings of Big Wind but California is catching up, buying gigawatts of green electricity from turbines planted on the windswept flatlands of … Oregon. On Monday, Southern California Edison became the latest Golden State utility to look north, announcing a 20-year contract to buy a whopping 909 megawatts from Caithness Energy’s Shepherd’s Flat project. 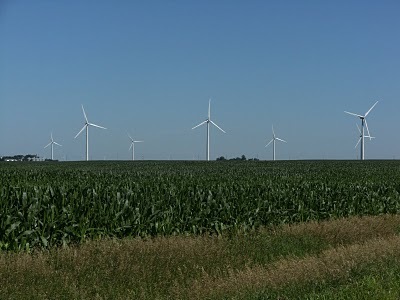 The 303-turbine wind farm will span two Oregon counties and 30 square miles when it goes online between 2011 and 2012. PG&E (PCG), meanwhile, signed a deal in July for 240 megawatts of wind power from Horizon Wind Energy’s turbine ranch in the same area. That’s on top of 85 megawatts it agreed to buy last year from PPM Energy (now called Iberdrola Renewables) in a neighboring county that’s part of a turbine tier of counties on Oregon’s northern border. Earlier this month the Los Angeles Department of Water and Power approved a 72-megawatt contract with Willow Creek Energy for wind power from the same area in Oregon. So why ship electricity a thousand miles down the West Coast when California already plans to add gigawatts of in-state wind energy? In a word, transmission. “The beauty of this particular project is that it is already fully permitted and has transmission already available,” Stuart Hemphill, Southern California Edison’s (EIX) vice president for renewable and alternative power, told Green Wombat. 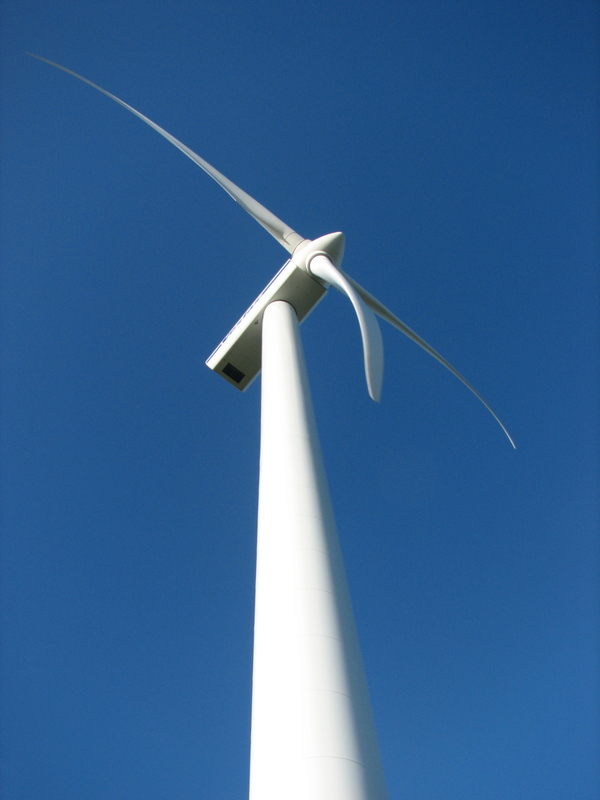 In December 2006 the utility signed an agreement to purchase 1,500 megawatts from a giant wind farm to be built by a subsidiary of Australia’s Allco Financial Group in Southern California’s Tehachapi region. But the project is dependent on the construction of new transmission lines – often an environmentally contentious and drawn-out process in California. With California’s investor-owned utilities facing a 2010 deadline to obtain 20% of their electricity from renewable sources, expect the Oregon green rush to continue.